And so, without further ado, it’s time to announce the results of my recent poll to find the Best Poirot Novel. To remind you – I arranged the books into four groups, chronologically speaking, and the highest rated two from each round went through to the final. There was one dead heat, making it nine, and then because I ended up putting Cards On The Table in the wrong round, I gave a couple of third places the benefit of the doubt. The results of the rest of the books are here. The final round ended up consisting of eleven books in total. Off we go – in reverse order of course. Evil Under The Sun – Poirot takes a holiday on the South Coast. This was the clear winner of Round Three, with 33% of the vote, but both of the other books from that Round outperformed it in the final. It might be because it’s the most traditional Poirot in that group whereas the others (Five Little Pigs and Cards On The Table) are more individual. It’s not a favourite of mine – do take a look at the review – but I can see its charm. Cat Among The Pigeons – Poirot goes to school. 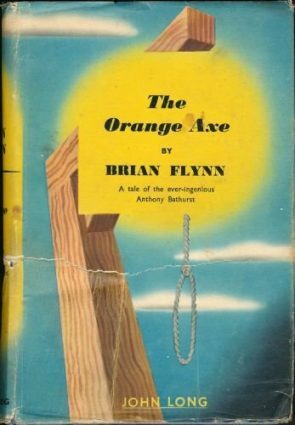 I’ll be honest, I’m not sure how this got to the final round – it tied for second place in the weaker Round Four (14%) with a far superior book – see below. It’s a mess of a mystery – again, take a look at the review. After The Funeral – the book that tied with Cat Among The Pigeons in Round Four. A much better book – I voted for it in Round Four – one of the last Poirot books that I read and a real treat going into it with low expectations and contains a trick that isn’t easy to spot, iirc. Must take another look soon. Cards On The Table – 21% of the votes in Round Three but this psychological mystery, where Poirot investigates with “no” material clues, is a treat. It was much better on re-reading it than I remembered from my youth and I’m a little surprised at its low showing here. Five Little Pigs – a book often praised as one of her cleverest books, especially by those people who “know” about Christie. Probably the highest placed book on the list that the man on the street won’t have heard of. 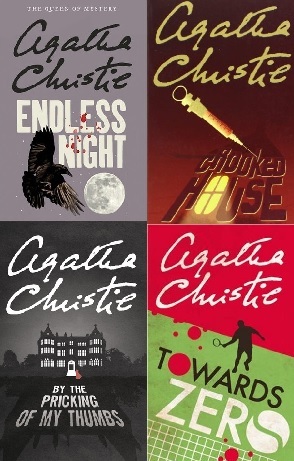 Which brings us to The Big Four… I mean, the big four – in chronological order, The Murder Of Roger Ackroyd, Murder On The Orient Express, The ABC Murders and Death On The Nile. Let’s face it, if I asked you to pick what would be the best four, then this would be the four. So how did they fair? Death On The Nile – 38% in Round Two, another book that is well known due to the all-star film version, but has a much more satisfying denouement than the train. A wonderfully constructed mystery, again best read when you’re not too familiar with Agatha’s usual games, but even then, the how is a good puzzle too. The Murder Of Roger Ackroyd – A whopping 44% in Round One and it’s another book that deserves its reputation. I won’t say any more about it – it’s best read knowing nothing about it at all. No surprise at its position in this poll (and probably every other poll too) but it’s good to know that my readers have taste. Yes, glad about that too! I think I must have in my youth but as I hadn’t read Funeral at that point, I never put two and two together. I’ll try and hunt it up. Funeral scored “as high” as Cat because I put it there! On the one hand, I’m proud that my vote secured a place for such a delightful book in the top ten. But it deserved at least one of the votes given to Curtain (really, a tiresome book full of unpleasant characters – even Hastings is unlikable here) and it deserved Cat’s vote and one of Orient Express’ votes (just because)! That ties it with Christmas and Curtain in my parallel world and makes me happier. Love the top three, although Ackroyd does rest on a gimmick. Thanks for giving us so much fun. I can’t wait for the Marple poll, but if it ends up that Nemesis is number one, I will bring you down!!! You don’t love Nemesis…. ? I meant scoring the same in Round Four as well – Funeral should have slaughtered it in that round, in my humble opinion. I may be one of the Cat culprits in the Round Four voting. (I honestly don’t remember–because I did hover between Cat and Funeral). If I did, I ask for clemency based on my inordinate fondness for school/academic-related mysteries. You are allowed – to be honest, Cat is a fun read but the mystery therein is poor. Have you read Edmund Crispin’s Love Lies Bleeding? If not, I recommend it.